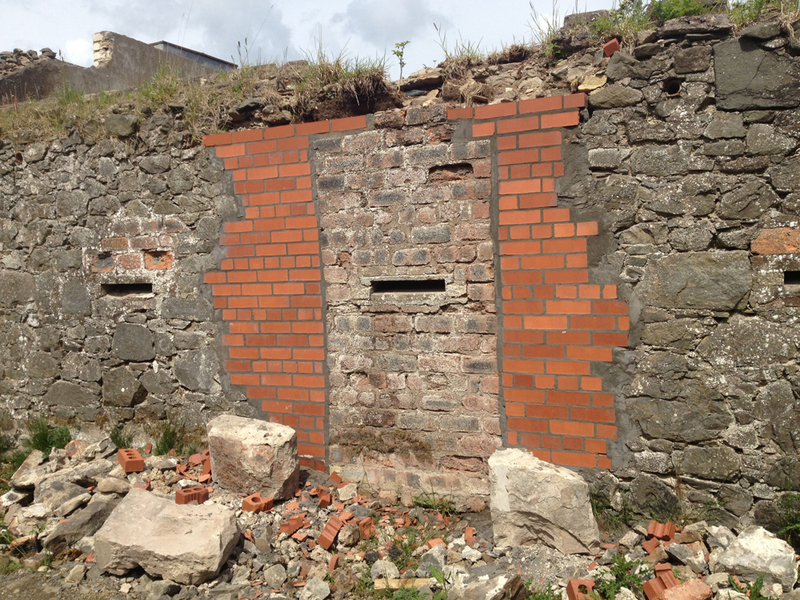 Salvaging stonework from the adjacent ruined outbuildings for use in the main Mill building. Perimeter tanking has been installed, and the new concrete slab floor poured. 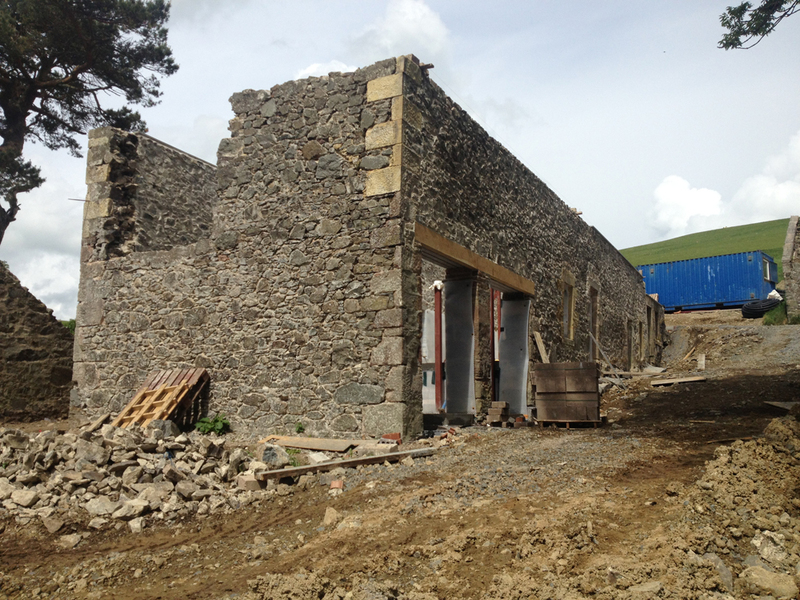 The first sections of steelwork that will help support the structural timber frame of the building have also been erected.